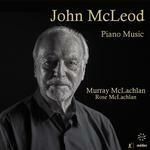 A comprehensive survey of Scottish composer John McLeod's works for solo piano covering a 50 year period on 2 CDs and played by outstanding champion of new music, Murray McLachlan with an excellent recording debut of new generation artist Rose McLachLan. playing the 'Hebridean Dances'. 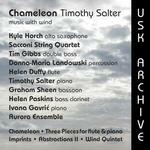 Three chamber works by Philip Seaton: Bitter Suite for Octet, Rainy Day for Two Violins and Piano, and Reflections for Piano Quintet (58 minutes). 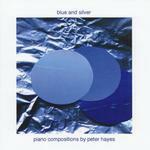 Of the eleven tracks on this album, eight were written by pianist Peter Hayes and three by bassist Dave Pullin, for their band Red Shadow Quartet. This is the band’s second CD. These 11 songs on Buddhist themes include settings of poems by Ryokan, Sangharakshita, and the 7th Dalai Lama, among others. Classical roots combine with contemporary harmonic colour, to create a fresh and spacious sound. From the humorous and playful, to the melancholy and reflective, each of these short piano pieces is distinct yet connected as part of an overall landscape. A brand new CD for 2017!! 'Music Is A Gift For Life'----A unique collection of fourteen original piano compositions in a Contemporary Classical style. 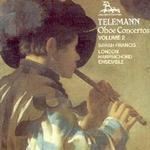 "Beautiful piano music to treasure"
Symphony no 6. Night Voyage Symphony no 7. Symphony no 5 and String Quartet no 1. 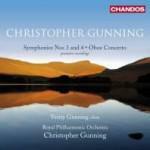 Gunning, Christopher : Concerto for guitar & orchestra ("Requerdos do Mallorca", Concerto for clarinet & orchestra, Concertino for flute & orchestra. 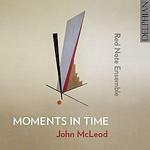 Five contemporary chamber works by Scottish composer, John McLeod, performed by leading Scottish players, the Red Note Ensemble. 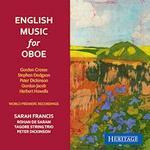 Oboe music by English composers, performed by Sarah Francis (oboe) with cello, string trio and piano. SPACES IN A SPACE is David Stoll's fourth String Quartet. Played by the Bingham String Quartet, it explores ideas arising from the making and exhibiting of beautiful ceramic pots. David Stoll's 3rd String Quartet, Fools by Heavenly Compulsion, is played by the Bingham String Quartet together with other contemporary works. Song cycle comprising settings of 16 of Elizabeth Barrett Browning's famouse love sonnets performed by mezzo Yvonne Howard and pianist Scott Mitchell. 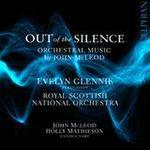 Recorded July 2013 RNCM Manchester. This is Iris' 2nd Solo Piano CD. It contains 14 tracks of her own relaxing, melodic piano compositions which we hope will uplift your spirits. 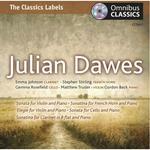 Classical music 'to touch the heart and inspire the soul', featuring music for piano solo, string orchestra and harp. This is new British piano music for the 21st century: spiritual, minimalist, romantic, melodic, written to ‘touch the heart and inspire the soul’. 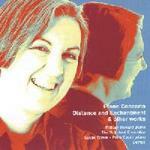 Performed by Swiss concert pianist, Patricia Siffert. 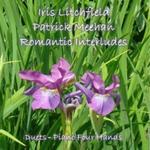 This CD contains 19 tracks of Classical Piano Duets played by Iris Litchfield and Patrick Meehan. 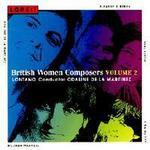 There are 6 different composers ranging from Elgar to Schumann. This is Iris' first solo piano CD. It contains 14 tracks which we hope will relax, delight and envelope you with the mature sincerity of mood, melody and chords. 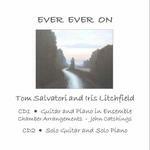 A contemporary instrumental album of soothing and melodic music showcasing the all original and timeless piano and guitar compositions of Iris Litchfield and Tom Salvatori with warm and tender arrangements by John Catchings. A contemporary instrumental album of soothing and melodic music showcasing the all original and timeless piano and guitar compositions of Iris Litchfield and Tom Salvatori arranged by John Catchings. 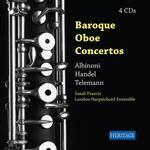 CD of concertos by Telemann for oboe / oboe d'amore and strings performed by Sarah Francis with the London Harpsichord Ensemble and the Triple Concerto for flute, oboe d'amore and viola d'amore. 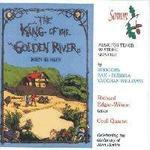 Richard Edgar-Wilson Tenor, and the Coull Quartet with James Lisney, piano, perform works by Sarah Rodgers (The King of The Golden River), Bax, Rubbra and Vaughan Williams. 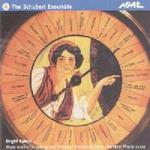 A CD of chamber music by Enid Luff, played by mainly young musicians. 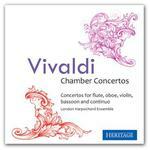 Vivid and characterful solos and ensemble pieces for piano, woodwind and strings. 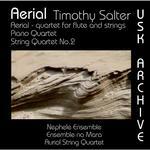 Recorded at Ty Cerdd, Music Centre for Wales, in Cardiff.